Apple has unleashed the latest software update for iPad, iPhone and iPod touch, with iOS 4.3 now ready to be downloaded to devices. 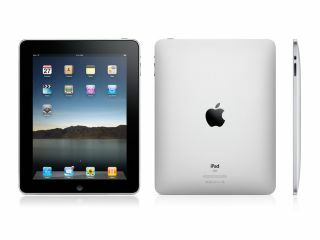 The software update comes ahead of the scheduled arrival on March 11th, which is when the iPad 2 goes on sale in the United States. iOS device owners can upgrade now by downloading to the latest version of iTunes (10.2.1) and simply syncing with the program on your Mac or PC. Top of the list is of new features is the ability to turn your device into a Wi-Fi Hotspot, which was first seen on the Verizon iPhone 4. Five devices will now be able to connect to your iPad and hook up to the Wi-Fi. iTunes Home Sharing also comes to iOS 4.3 allowing your iPad, iPhone or iPod touch to stream music from your Mac or PC's iTunes library over a shared Wi-Fi network. Apple has also updated the AirPlay feature to allow users to stream content from third-party applications to their second generation Apple TV box, not just content from your iTunes library. For example, if the Spotify decided to upgrade its app, you would be able to come inside and continue your playlist on your Apple TV box by streaming it from your iPhone 4. The company is also promising faster Safari performance, the ability to customise the side-lock/mute switch on the iPad and also support for the new HDMI video adapter.